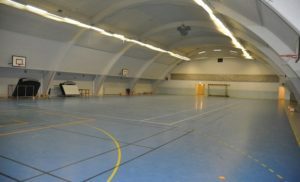 The venue is owned by Nylöse Atlet & Brottarklubb, a Swedish Olympic wrestling club that ruled the scene for about 30 years nationally and internationally. They have 2 wrestling mats 8x8m, heavy weights and balls for lifting and training, a kitchen area, sauna(!) and showers. Close to station with bus/tram 15minutes travel to center of town.